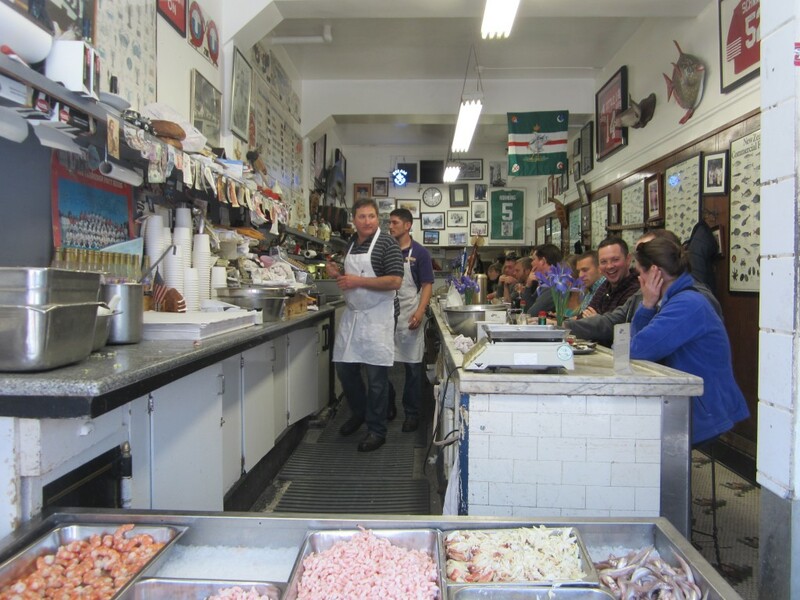 Well here’s for conquering one of the things on my bucket list: eating at the uber famous Swan Oyster Depot, the restaurant that both Anthony Bourdain and Gabrielle Hamilton (author of bestseller ‘Blood, Bones & Butter’) always go to whenever they’re in San Francisco. 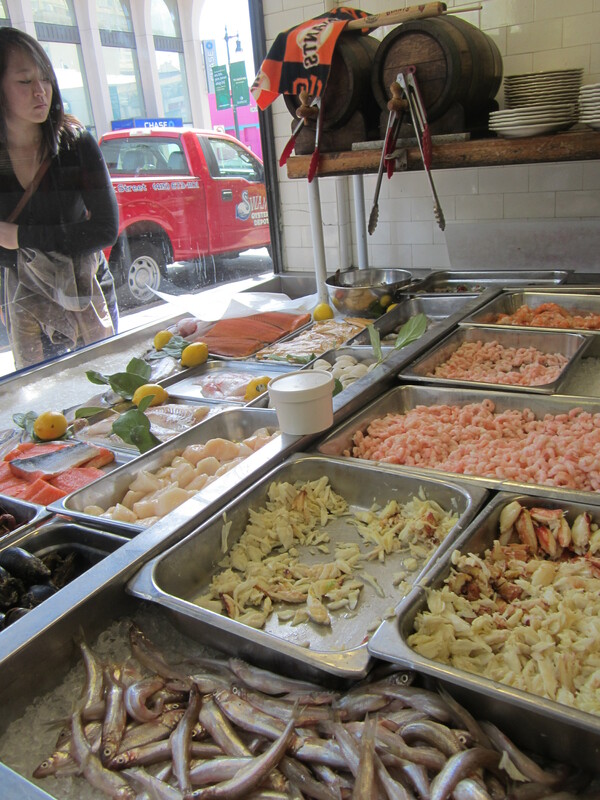 Swan Oyster Depot serves fresh seafood daily except for Sunday, starting at 10:30am. 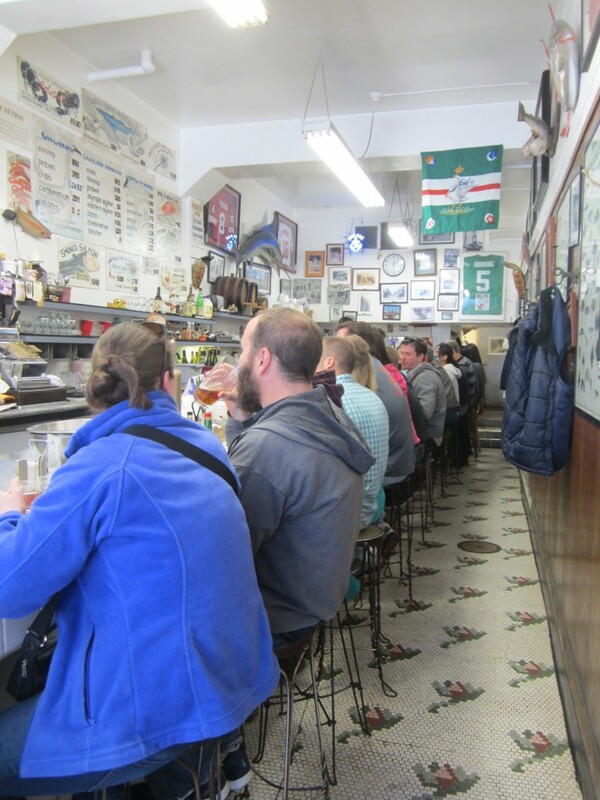 We made the mistake of showing up at exactly 10:30am and paid the severe price of waiting 90 minutes for counter-only seating at this world famous dining institution. I am probably the most impatient person in the world and would never have suffered through the wait if it weren’t for several of our friends joining us in line and keeping the conversation flowing. 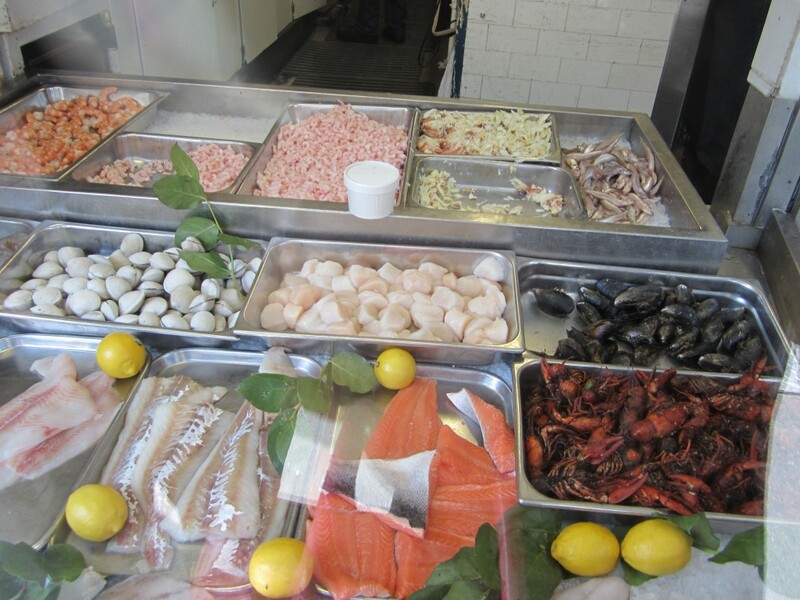 Food is fresh off the boat, damn good. Sitting inside is like stepping back in time. 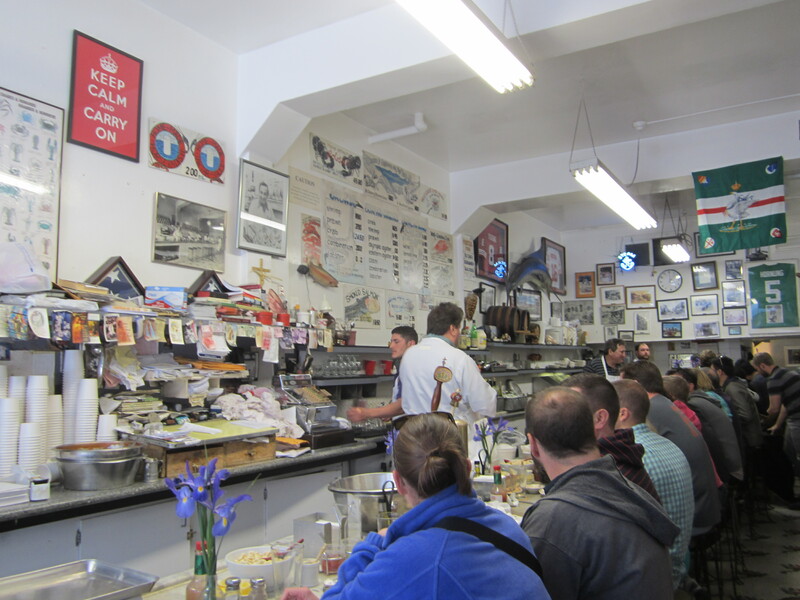 They’re totally old school and will ring your bill up on a janky cash register that dings every time you push a button. My little tush could barely fit on the stool so not sure how Dean and our friends managed to get by. 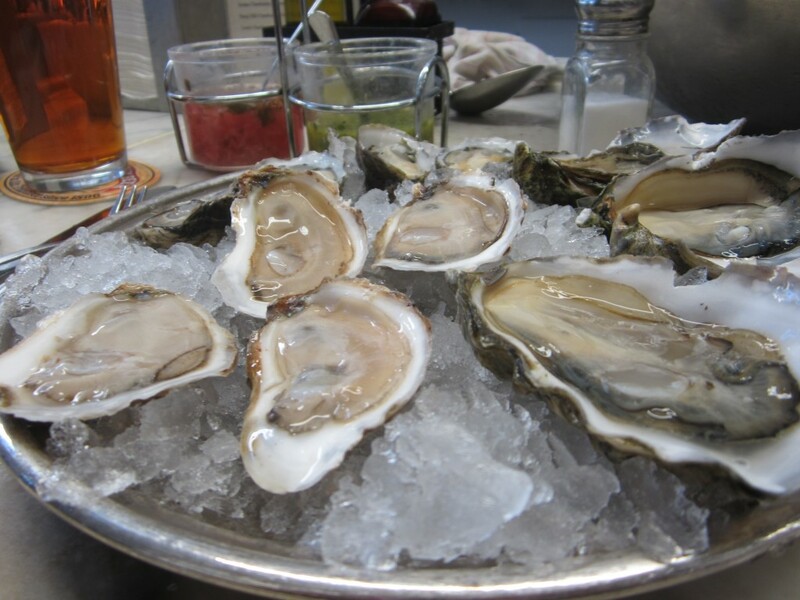 We started out with mixed oysters. 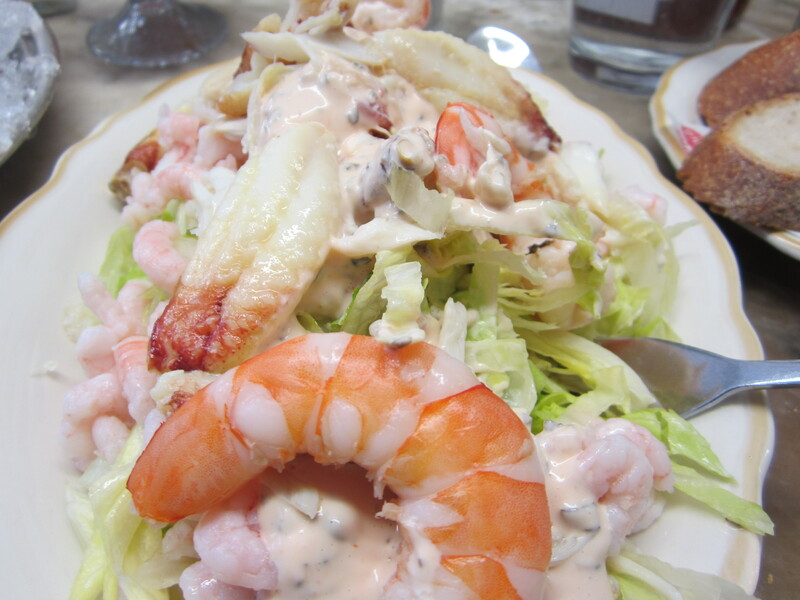 Then I ordered the combination salad—crab, shrimp, and prawns on a bed of lettuce–which was oh so yummy. 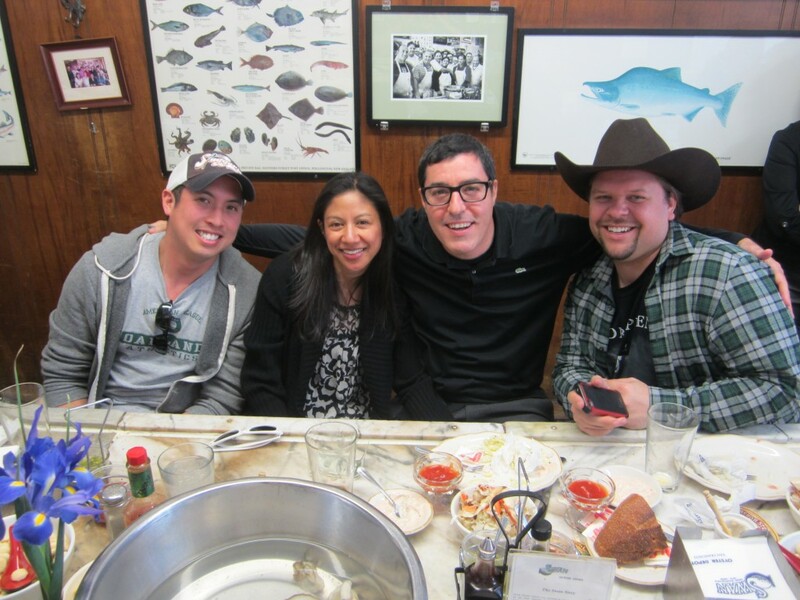 The guys ordered cracked crab. Glad I got to experience that. From now on, take out!